In the first time a senior official has publicly announced a time line for wrapping up negotiations on India’s proposed purchase of 36 Rafale fighters, France’s ambassador to New Delhi says he expects the price to be negotiated and agreed to within four months. “It will be too long if it goes beyond that”, said Ambassador Francois Richier, speaking to journalist Karan Thapar on India Today TV on Wednesday evening. On Monday, Prime Minister Narendra Modi and visiting President Francois Hollande of France signed an inter-governmental agreement (IGA), agreeing that India would purchase 36 Rafale fighters from French company, Dassault Aviation. However, both leaders admitted that the price of the contract continued to be a sticking point. Richier said France was hopeful that, eventually, India would buy more than 36 Rafales. He said that if the contract were extended beyond 36 fighters, there would definitely be a “Make in India” component to the deal. 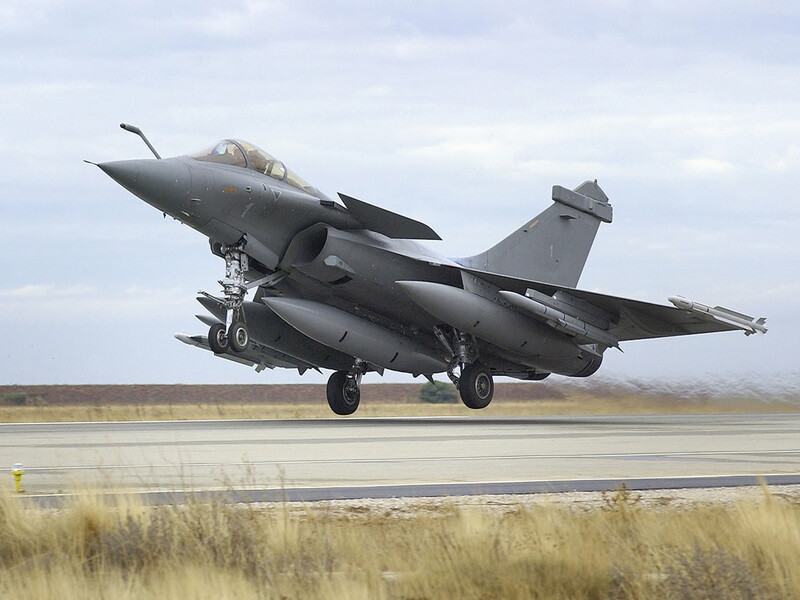 It has been reported that the deal for 36 Rafales, in flyaway condition, could include an “options” clause of 50 per cent of the contract size. In that case, New Delhi would decide whether or not to buy an additional 18 fighters. Aerospace industry experts unanimously agree that very little “Make in India” would be possible with just 18 additional Rafales. At best, they would be assembled in India from knocked down kits. Richier also confirmed in the interview that the Rafale offset agreement had been finalised. However he refused to confirm whether 50 per cent offsets would be imposed on Dassault and Thales, the main Tier-1 supplier to the Rafale programme. In 2012, Dassault was declared the winner of India’s global tender for 126 medium fighters. However, with price negotiations deadlocked, Modi and Hollande agreed last April that India would buy 36 Rafales on favourable terms. However, these price negotiations too have not made headway. A ministry of defence (MoD) task force, under the leadership of former Defence R&D Organisation (DRDO) chief, VK Aatre, has recommended stiff guidelines for selecting private sector companies as “strategic partners” for building high-technology, complex systems for the military. The Aatre Task Force (hereafter, Task Force) has laid down two sets of eligibility criteria for evaluating prospective strategic partners. A “financial gate” will ensure a company has deep pockets to support its equipment for the duration of its service life, which is often decades long; and a “technical gate”, which requires applicants to be capable of building systems with multiple technologies. The financial gate will exclude all but very large companies. A strategic partner must have a consolidated turnover of at least Rs 4,000 crore for each of the last three financial years; and capital assets of Rs 2,000 crore. The company should have grown at minimum 5 per cent for at least three of the preceding five years. Finally, its credit rating must be equivalent to at least CRISIL/ICRA “A” (stable). The Task Force was set up after a MoD expert committee, under Dhirendra Singh, recommended that one be constituted to lay down criteria for selecting one private “strategic partner” for each of six “strategic segments”. These were: aircraft/helicopters, warships/submarines, armoured vehicles, missiles, command & control systems, and critical materials. However, the Task Force has rearranged these into two groups. Group I has seven segments that include aircraft; helicopters; aero engines; submarines; warships; guns and artillery; and armoured vehicles. The Task Force recommends that just one strategic partner be chosen for each segment. For the three segments in Group II --- metallic material and alloys; non-metallic materials; and ammunition, including smart munitions --- the Task Force recommends two strategic partners for each. The financial requirements for Group II are less stringent than for Group I, since integration of systems is not needed for developing materials and ammunition. The Task Force stipulates that strategic partners must be “an engineering and/or a process technology company”. The financial gate is Rs 500 crore turnover for each of the last three financial years; and capital assets worth Rs 100 crore. In addition, strategic partners in both Group I and II are required to have “robust good governance”. They should not have defaulted on loans, or have loans they have taken classified as non-performing assets. They should not be under Corporate Debt Restructuring Mechanism (CDR) or Strategic Debt Restructuring Scheme. It also recommends that a separate strategic partner be appointed to develop aero engines since “these are critical for any aircraft project and India does not have adequate expertise in this field.” The report cites the global environment, where aero engine makers like Pratt & Whitney, General Electric, Rolls-Royce are separate from aircraft developers like Boeing, Airbus, etc. The Task Force recommends that “C4IRS networks” --- which govern the realms of command, control, communications, computers, intelligence, reconnaissance and surveillance --- should not be developed through a strategic partner. Instead, it recommends the model of “Development Partners”, presumably referring to the “Make” procedure, under which two network systems are being developed --- the Tactical Control System and the Battlefield Management System. The Task Force has recommended a gradual implementation. In the first phase, it recommends that strategic partners be identified for just five segments: aircraft, helicopters, submarines, armoured vehicles and ammunition. Norms have been laid down to ensure that only an Indian companies can be a strategic partner. Applicants cannot have a composite foreign direct investment (FDI) of over 49 per cent, including all types of investments. The chief executive must be a resident Indian. The “Report on the Task Force for Selection of Strategic Partners”, was handed in last week to the MoD. It is authored by former DRDO chief, Dr VK Aatre; former HAL chairman, NR Mohanty; legal expert, Shardul Shroff; heavy industries executive Ishan Shankar, banker, VP Shetty; ICRA chief, Naresh Takkar, accountant, Dr Asish Bhattacharyya; former army procurement chief, Lieutenant General AV Subramanian; and others. The report notes that the chosen strategic partners must function as systems integrators, building a large eco-system of specialized vendors and suppliers, including from the MSMEs sector. Defence industry experts say the notion of strategic partners is no different from that of “Raksha Udyog Ratnas”, or RuRs, that the Kelkar Committee had mooted in 2005. That, however, was put on the back burner by then defence minister, AK Antony, following strong resistance from the trade unions of defence public sector undertakings, who had apprehensions about the entry of the private sector into defence. Perhaps to allay these fears, the Task Force notes: “Strategic Partners shall co-exist with the Defence Public Sector Undertakings (‘DPSUs’), Ordnance Factories (‘OFs’) and Defence Research and Development Organisation (‘DRDO’) and the MoD (defence ministry) shall be at a liberty (sic) to utilize all these entities for its needs." For months, it has been whispered that New Delhi is unwilling to pay the price that French company Dassault Aviation is demanding for the 36 Rafale fighters that Prime Minister Narendra Modi had asked for in Paris last April. Today, Modi, and visiting French president, Francois Hollande, both confirmed those rumours. Addressing the media after bilateral talks in New Delhi on Monday, Modi admitted that “financial issues” remain to be sorted out, which would be resolved quickly. The French president was referring to an Inter-Governmental Agreement (IGA) that was inked today. An IGA is a high-level expression of intent that does not have the force of a contract. 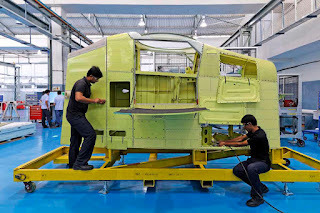 Several IGAs signed by India are languishing --- such as the Indo-Russian IGA, signed in 2007, to jointly develop a multi-role transport aircraft. There are two major hurdles to the contract. First, New Delhi and had Paris agreed the price of the 36 Rafales would be less than what Dassault had quoted in response to the Indian tender of 2007 for 126 medium multi-role combat aircraft (MMRCA). Of those 126 fighters, the first 18 were to be supplied in “flyaway condition”, i.e. fully built. Since 36 Rafales are now being bought in “flyaway condition”, their per-piece price must be lower than what Dassault quoted for those 18 fighters. Media reports put Dassault’s quote for 36 fighters as $7-9 billion dollars (Rs 47,500 – 60,000 crore). That figure would include the cost of an initial scale of weaponry and spare parts, as well as hangar facilities. That is an astronomic Rs 1,320 – 1,660 crore per aircraft. “The government would find it extremely difficult to justify that price. For the cost of a Rafale, the Indian Air Force (IAF) could buy 4-5 Sukhoi-30MKI, or 10 Tejas light fighters”, points out Bharat Karnad of the Centre for Policy Research, who has been critical of the MMRCA procurement. The second hurdle to buying 36 Rafales in flyaway condition is the abandonment of any “Make in India” component. To bring in an element of that prime ministerial initiative, the defence ministry would have to strictly enforce a 50 per cent offsets clause, which would raise Dassault’s cost further. “There are quite clearly serious complications in negotiating this deal”, points out Pushpinder Singh, editor of the authoritative aerospace trade journal, Vayu. Dassault had, on January 31, 2012, been declared the winner of India’s tender for 126 MMRCA aircraft. After exhaustive trials, the IAF chose the Rafale over five other fighters --- Boeing’s F/A-18E/F Super Hornet; Lockheed Martin’s F-16IN Super Viper; Saab’s Gripen NG; RAC-MiG’s MiG-35 and Eurofighter GmbH’s Typhoon. However, in protracted price negotiations that followed, the defence ministry found that Dassault’s payment would amount to more than what its commercial bid initially suggested. The United Progressive Alliance government dragged on the negotiations. The National Democratic Alliance government chose to abandon the MMRCA tender altogether, and instead buy 36 Rafales over-the-counter. The IAF insists it needs the Rafale, since it now operates just 34 squadrons against the 45 squadrons needed for a two-front war. Critics of the Rafale procurement object, first, to its price; but also point out that the IAF already operates seven different fighters --- Sukhoi-30MKI, MiG-29, MiG-27, MiG-21, Mirage 2000, Jaguar and Tejas LCA. Buying an eighth fighter, would require major expenditure on depots, maintenance infrastructure and spare part stocks. Furthermore, the multi-billion dollar MMRCA contract was to be a springboard for galvanising India’s aerospace industry. Buying 36 fully built Rafales would only benefit that of France. The India contract is vital for Dassault, which provides 11,600 French jobs and earned Euro 3.68 billion in revenue last year. But critics wonder what part of India’s defence industry stands to benefit. The Indian Air Force (IAF), once an ardent backer of the proposed Indo-Russian fifth generation fighter aircraft (FGFA), has for the last two years sharply attacked the project. Critics say the FGFA is on the back burner to clear the way for the French Rafale fighter. According to the details of that meeting, IAF objections to the FGFA were: (a) The Russians would not share critical design information with India; (b) The PAK-FA's engines are inadequate, being mere upgrades of the Sukhoi-30MKI's engines; and (c) Paying $6 billion to co-develop the FGFA would mean that "a large percentage of IAF's capital budget will be locked up." Revealing that Defence Procurement Procedure of 2016 (DPP-2016) is on track to be released in February, Defence Minister Manohar Parrikar termed it a “game-changer”. “The DPP has already been approved. It is in the final stages where you have to change the appendices and annexures. Maybe next month it will be notified,” Parrikar told a defence industry seminar in Delhi on Thursday. The new DPP will have overshot Parrikar’s own timeline by a year, but he ascribes that to painstaking consensus building within the ministry. The defence minister also revealed he was finalising a new, flexible policy to deal with corrupt arms vendors. “I don’t call it blacklisting any more. Probably we will have the discussion today or tomorrow to finalise it. It is now being termed as ‘penal provisions’”, he said. This would replace automatic blacklisting, and arm the ministry with a range of instruments, including financial penalties and a formula to impose them; short term banning from defence tenders; and, in extreme cases, long-term banning. “Punishment has to be based on the intensity of the crime, and seriousness. You cannot punish every crime with ten years sentence. Sometimes financial penalties are needed”, said Parrikar. The minister provided new glimpses into DPP-2016, which he first outlined on January 11. It had promised a boost to indigenous design, and to the “Make” programme in which the government subsidises equipment development by the private and public sector. 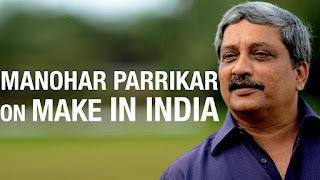 With only two “Make” projects actually awarded in the decade since the “Make” procedure was instituted, Parrikar said: “We shall be starting 8-10 projects every year under “Make” category. These will create an eco-system in terms of vendor development. Owners of micro, small and medium enterprises (MSMEs) in the audience later told Business Standard that 8-10 projects a year were not nearly enough. Given that DPP-2016 includes a special category of “Make” projects for MSMEs, they are looking to the ministry for many more such projects. There was praise however for the DPP decision to allow vendors to retain the intellectual property (IP) they develop in a “Make” project, allowing them to translate that into equipment for sale in India and internationally. Parrikar addressed criticism over DPP-2016’s dilution of the offset policy, which has so far imposed offsets on international defence contracts worth Rs 300 crore or more. The new policy dilutes that liability to contracts worth Rs 2,000 crore or more. “The Rs 300 crore limit was set up in 2012; the cost [of defence equipment] has also gone up. Secondly, we are piling up offsets at a huge rate. And no one gives you offsets free… You have to pay for it up-front in the [equipment] price. And the cost can be anywhere between 12-13 per cent to 17-18 per cent,” said Parrikar. “Secondly, we have got a lot of offsets which have been [already] signed. $5 billion signed, and another $6-7 billion are in the pipeline. This itself takes it to around $11-12 billion. I think this is enough for us to absorb over the next 8-10 years. Just piling up offsets may not be required,” he continued. Parrikar also claimed that offsets would be made irrelevant by “Make in India”. “If my full strategy is shifting towards producing the product in India itself, indirectly I’m asking for almost 100 per cent offsets”, said the defence minister. There were few takers for this amongst Indian entrepreneurs in the audience. As several pointed out to Business Standard, well-structured offsets could benefit both the foreign vendor and Indian industry, which offers high quality, low-cost manufacture that would lower the vendors’ costs. Furthermore, offsets liabilities are piling up mainly because the defence ministry has performed woefully in overseeing and enforcing the offset programme. Finally, even if a high percentage of a foreign weapon system were to be built in India, offsets could be discharged through technology transfer, skills development, and carrying out research & development in India. 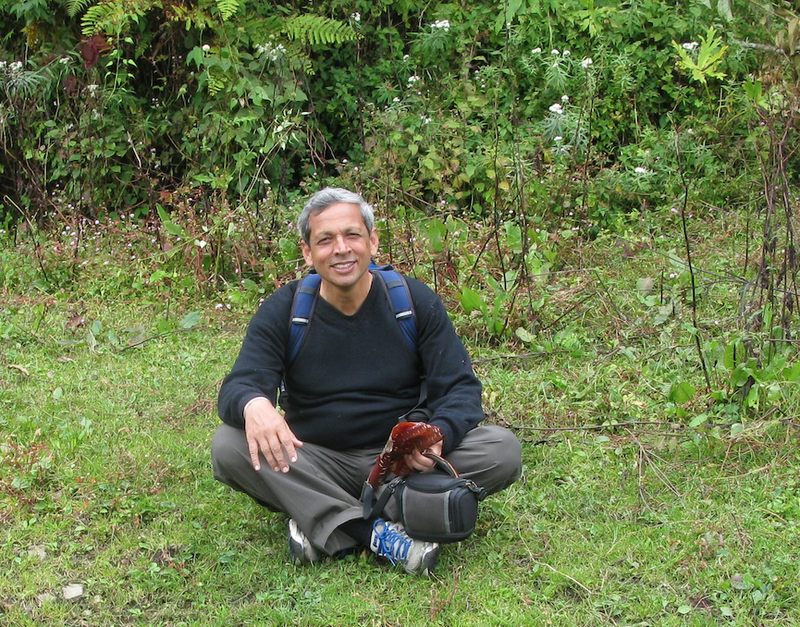 DPP-2016 could see changes, with Parrikar repeatedly soliciting suggestions from the environment. “No document can be perfect, and [the new DPP] is also not static. We are willing to take into consideration different viewpoints later, even after it is promulgated,” he promised. Is Pakistan actually cracking down on the perpetrators of the January 2 attack on the Indian Air Force base in Pathankot? We can only guess what that country’s policymakers really intend, but here is what is known: Islamabad has constituted a multi-agency “joint investigation team” to probe the attack, including military intelligence and ISI officers. It has rounded up some mid-ranking members of the Jaish-e-Mohammed (JeM), the radical Islamist group that New Delhi believes is behind the attack. A central minister in Islamabad has said JeM chief, Masood Azhar, is in “protective custody” since he cannot be arrested without hard evidence of wrongdoing. Meanwhile, other branches of the Pakistan government have denied that Azhar is in custody. Almost everyone in India who can spell P-a-k-i-s-t-a-n has already pointed out that previous “crackdowns” on India-focused jihadis were mere theatre. It is also well known that this subterfuge comes easily to both Pakistan’s policymaking elements --- the elected government in Islamabad; and the all-powerful army headquarters in Rawalpindi. But it is still worth carefully considering the question: is anything different this time? The Indian government apparently thinks so, going by the substance and tone of recent statements from New Delhi’s foreign policy and security establishment. 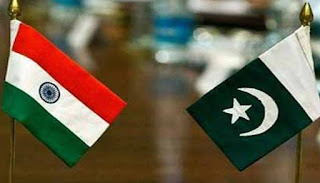 The woeful history of Indo-Pakistan engagement is replete with instances where talks have been cancelled or postponed. But never has a scheduled meeting been postponed with such cordiality, especially on the heels of a terror attack. In a phone call the day before they were to meet, both foreign secretaries amicably agreed on a token postponement. Talks will resume in what India’s foreign ministry spokesman termed “the very near future”. Underlining the bonhomie in thick pencil, the spokesperson declared that the postponement was arranged in “a mutually acceptable manner”. Given these atmospherics, it is worth wondering whether some rarified layer of the Indian government has an assurance from Pakistan’s top power brokers that action will be taken against the JeM, but gradually and without fanfare? We simply do not know, and will not know until later. Even so, with the government continuing the dialogue with only a token display of pique at the Pathankot attack, it seems as if Messrs Modi and Doval know something that we do not. On the other hand Mr Modi may have no explicit assurances from Islamabad and Rawalpindi about restraining India-directed jihad, but he believes something is fundamentally changing in Pakistan; and that a tipping point has been reached. Given Pakistan’s long record of duplicity, India’s government is vulnerable to charges of naivety and gullibility. But here is the catch: when (and if) Pakistan starts putting the squeeze on India-directed groups, this cannot be accompanied by a public promise to New Delhi. Whatever Islamabad says would be in private. Indian public anger restrains New Delhi from talking peace with Islamabad after a terrorist attack, unless Pakistan appears to be acting against those responsible. At the same time, Pakistani self-esteem prevents its government from acting against extremists under Indian pressure, even if there were consensus in that country that this was essential. For that reason, were Mr Modi to believe that Islamabad and Rawalpindi are willing to defang groups like the JeM now, and perhaps later the Lashkar-e-Tayyaba (LeT), he would have to give Pakistan time and space to shield it from allegations of acting under Indian pressure. Expecting the Pakistani security megacorp to backtrack from 68 years of sub-conventional military options against India is, admittedly, a long shot. Even so, our strategy should not assume an unchanging world. Like many others, Pakistan is concerned over the changing face of political Islam, with Frankenstein’s monsters like the Tehrik-e-Taliban Pakistan (TTP) and the Islamic State challenging the Pakistan Army. Numerous Indian experts on Pakistan (and every Indian believes she is one) had confidently predicted that Rawalpindi would never crack down on the TTP, or launch a military offensive in North Waziristan. But the ideological swings and shifting allegiances of international jihad, forced Pakistan to confront one set of its own monsters. True, Pakistan has so far cracked down only on the bad terrorists, the rebellious TTP. For now, the good terrorists --- including the JeM and LeT --- remain loyal to Rawalpindi and offer no provocation that justifies winding them up. But this is not a constant. In 2003 the JeM --- a perfect Pakistan Army poodle for years --- turned on its master, staging at least three assassination bids on General Pervez Musharraf. Rawalpindi knows well how growing ideological and operational linkages between the good and the bad terrorists have the potential to subvert the army’s control over the former. It is bad strategy for India to assume an unchanging world, even if the prospects of change are tenuous. Instead of waiting for change to happen within Pakistan, New Delhi should adopt a pro-active strategy --- catalysing, facilitating and making room for that change. This does not imply looking at Pakistan through rose-tinted glasses, or condoning terrorist strikes by so-called “non-state actors” in the hope that Islamabad will take them down. What this strategy does involve is strengthening our intelligence and security networks so that terrorists are denied operational success of the kind they obtained in Pathankot; developing retaliatory capability for pin-point strikes on jihadi targets inside Pakistan; diplomatically managing the potential for escalation; and, meanwhile, keeping a tight lid on political rhetoric and name-calling, so that Rawalpindi and Islamabad can crack down on jihadi groups without appearing to be acting at India’s behest. For this, Mr Modi must be convinced that Pakistan is moving, even if cautiously, towards restraining and eventually shutting down the factories of jihad. It may well turn out that Pakistan’s internal incoherence and weakness prevents it from doing what it badly needs to in its own interest. Yet, in deliberately creating the space for such a turnaround in Pakistan, New Delhi would actually have a plan instead of what has passed for strategy over the last one-and-a-half decades --- shrill name-calling, public demands for action that will always remain unmet; and repeated cancellations of talks before starting the sorry circle yet again. A former Congress minister has publicly advocated dealing with Pakistan by “building a high wall all along the border. There is an Indian security plan to cover gaps in the border fence with “laser walls.” The fact, as our planners probably know, is that physical barriers cannot keep India and Pakistan apart. The two countries will have to accommodate each other, discovering common interest to bridge the chasms that divide them. Since 1958, when Tibetan-inhabited areas erupted in armed revolt against Chinese rule, the Chinese Communist Party (CCP) has propagated the convenient myth that unrest in Tibet is the handiwork of “a small number of troublemakers”, orchestrated by the “Dalai clique” in India. Now, the indefinite extension of a vast Chinese surveillance programme across all 5,000 villages in the Tibet Autonomous Region (TAR) makes it plain that the People’s Republic of China (PRC) regards every Tibetan as suspect. The intrusive surveillance grid is detailed in a new Human Rights Watch (HRW) report, “China: No End to Tibet Surveillance Program”, released on Monday. Imposed in 2011 for a three-year period, the surveillance is set to become permanent. 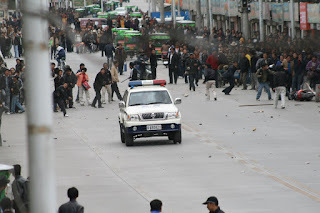 The report describes an “Orwellian campaign” intended to guard against any recurrence of the mass protests that engulfed TAR in 2008, after originating in the Tibetan-inhabited areas in the Chinese provinces of Qinghai, Gansu and Sichuan. The 2008 protests, which embarrassed China in the year of the Beijing Olympics, marked the 50th anniversary of the 1958 Tibetan uprising in Amdo and Kham regions --- parts of the Tibetan plateau, now merged into Chinese provinces. In typically paternalistic CCP rhetoric, the surveillance campaign was entitled “Benefit the Masses”. Its official slogan was: “all villages become fortresses, and everyone is a watchman”. The party cadres have been “re-educating” the Tibetan villagers with programmes like “Feeling the Party’s Kindness”. The “village-based cadre teams” incorporate CCP officials, government officers and security officials from the People’s Armed Police. Each team includes at least one Tibetan as translator. A team’s tour of duty in a particular village is about one year. “Before 2011, there were no qualified party officials permanently stationed below township level. Intensive security measures were used in trouble spots, especially places and monasteries with a political record of opposition to CCP rule. However, the entire population was not earlier targeted at this level”, says India-based Tibet analyst, Matthew Akester.